The jury is out on artificial intelligence (AI) – and there are great minds on either side of the debate. Some, like science heavyweights Elon Musk and Stephen Hawking, predict an AI catastrophe for the human race – others, like tech giant and Facebook founder Mark Zuckerberg, think advancing computer awareness can only benefit. 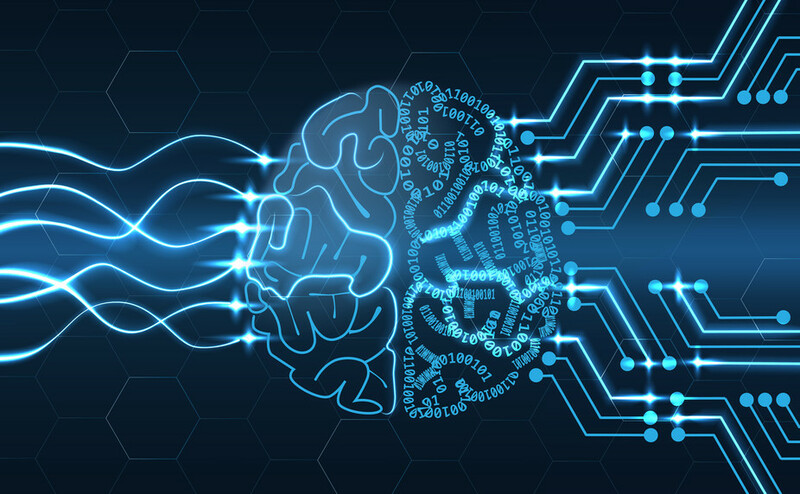 Whichever side you’re inclined to agree with, there’s no doubting that AI is quickly evolving – and as it does – becoming a more and more prominent feature in everyone’s life – not least when we’re online. AI will change the way we use computers and the internet. There’s a perception of AI as being a robotic assistant, on demand when you think you need some help. We’re seeing some services like this already; Siri for example – or connecting your home with devices like Amazon Echo or Google Home. While these kind of services and devices might have a Jetson’s robot maid feel to them, they’re actually a heavily watered-down version of what AI is really about – and that’s purely because they actually ‘know’ very little. Instead of collecting and analysing data, they’re really just voice activated tools to help you input, search and retrieve information for yourself. The true harnessing of AI is currently done by big business – and when I say big, I mean tech giants. Sure, the basics are filtering down to the masses, but your Google Home is positively prehistoric when compared with the algorithms and processes running in Google’s data centres. That’s because big worldwide business data is worth billions – if not trillions – to the companies who are collecting it, analysing it and making decisions based around the results. Individually, your data’s worth very little to anyone but you – so unless you’ve got millions of pounds to have it all captured and used for your advantage, you’ll have to accept that the most advanced AI is out of our reach. Shopping online makes you a prime target for retailers – they know some important things about you, firstly, you spend money; secondly, you’ve bought a particular product. So, at the moment, you’ll get recommendations about what other people have bought who also purchased that product. You’ve bought a sofa? Perhaps you’d like these cushions – etc. These recommendations are based on a fairly thin data – but what if that retailer knew your age, your gender, your income, the colour of your living room, the pins you’ve favourited on Pinterest, the designers you follow on Facebook and the most popular products bought by people matching your exact demographic? It might sound far-fetched to think such details would ever be available in one place – but apps and services are experts at extracting that info – and who wouldn’t want the very best recommendations from an AI that knows you better than a friend or loved one?! You probably think your diet has nothing to do with your online life – and while that might be true now, the future of internet use predicts something totally different. It’s not at all uncommon for the health conscious to track their fitness and eating with handy apps – so, once again, you’re feeding into the ‘big data’ brain of AI. That data can then be compared to larger trends in an effort to predict what you’re going to do – or support you to move in a particular direction. Let’s say you’d like to lose a little weight. You input some current statistics, dietary preferences and goals – then put your waistline management in the hands of an AI. It’ll shop for you, source recipes for you, manage your eating and drinking times, point you in the direction of the best restaurants and menu choices, suggest types, times and intensity of workouts, manage your sleep… and much more. Humans are not reliable; there are too many variables standing in the way of achievement – if there weren’t, everyone reading this would be doing so laid on a beach that they owned. Putting emotive decisions in the hands of AI removes human unreliability – and turns your goals into simple step-by-step tasks, managed by something smarter and more objective than you. The holy grail! If we could all work without distractions and procrastination we’d probably have colonised the solar system – instead, there’s simple stuff on most to-do lists that’s been there for two weeks. When an AI understands your day – and builds that data into a bigger picture of what an average day of behaviour looks like for you, it could – and will – adjust your environment to help you achieve whatever goal it is you desire. Intelligent handling of apps, schedules, distractions and general life tasks is something that evades most people to some degree – and that’s before you’ve unravelled the psychological and physiological variables that influence your ability to work. With the right data, an AI could create a workload that’s passed to you a task at a time – based on your lifestyle, diet, business priorities, preferred work style – and a million other micro-influencing factors that don’t feature until you can analyse your every move and understand how it all comes together to create a bigger picture for you. Internet dating is now the way the majority of relationships start. At the same time, divorce and separation rates are as high as they’ve ever been. But there’s 7 billion people in the world – so how do you find the right frog to kiss? AI will do it for you – and it’ll be based on more data than you could ever imagine. An incredible psychological profile can be built around your movements, habits, geography, spending, browsing, the amount you talk, the words you use and type – and much more. Compare your data to billions of others – and AI can become cupid. Experts suggest that a ‘thinking’ AI with the ability to access all current data and data collection methods could advance its knowledge so quickly that the biggest issues faced by mankind could be solved overnight.